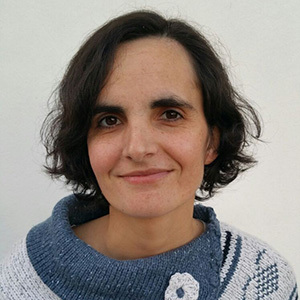 Marília Santos holds a bachelor degree (2007) in chemistry and master degree (2008) in analytical chemistry and quality control from the University of Aveiro (Portugal). In 2014, she finished her PhD thesis in Nanosciences from the University of Barcelona (Spain). Her PhD was conducted on the nanobioengineering group from IBEC and the IMAGES laboratory (BIOMEM group) from the University of Perpignan (France). She worked on the development of a multi-electrode impedimetric biosensor for the detection of pathogenic bacteria and mycotoxins. As a post-doctoral researcher (2015) she worked on the development of antibacterial surfaces bioinspired on the micro/nanotopography of natural surfaces at the 3B’s group from the University of Minho (Portugal). She joined INL in January 2016 and she is involved on the project WaterNanoEnv aiming the development of nanotecnology based sensors for the remote detection of water contaminants in dams. M. Barreiros dos Santos, S. Azevedo, J. P. Agusil, B. Prieto-Simón, C. Sporer, E. Torrents, A. Juárez, V. Teixeira, J. Samitier, Bioelectrochemistry 101, 2015, 146–152. M. Barreiros dos Santos, J. P. Agusil, B. Prieto-Simón, C. Sporer, V. Teixeira, J. Samitier, Biosensors and Bioelectronics 45, 2013, 174–180. D. Gallach, V. Torres-Costa, L. García-Pelayo, A. Climent-Font, R.J. Martín-Palma, M. Barreiros dos Santos, C. Sporer, J. Samitier, M. Manso; Applied Physics A 107, 2012, 293–300. M. Barreiros dos Santos, C. Sporer, N. Sanvicens, N. Pascual, A. Errachid, E. Martinez, M.-P. Marco, V. Teixeira, J. Samiter; Procedia Chemistry, Volume 1, Issue 1, 2009, 1291-1294.